Not sure if the Stander EZ Adjust Bed Rail is the right bed rail for you? In this article, we will be answering all of your Frequently Asked Questions (FAQs) regarding the Stander EZ Adjust Bed Rail. #1: Can the EZ Adjust be installed on my bed? Yes, the EZ Adjust can be installed on most beds. #2: Which part of the bed should the EZ Adjust be installed? We recommend that the EZ Adjust be installed near the user’s shoulders, and it should reach past the hip area. #3: Which side of the bed should the EZ Adjust be installed? It can be installed on either side of the bed. #4: What if my bed frame has a recess, can the EZ Adjust still be installed? Yes, it can. The bed rail will sit within the bed frame. #5: Is the EZ Adjust Bedrail secure? 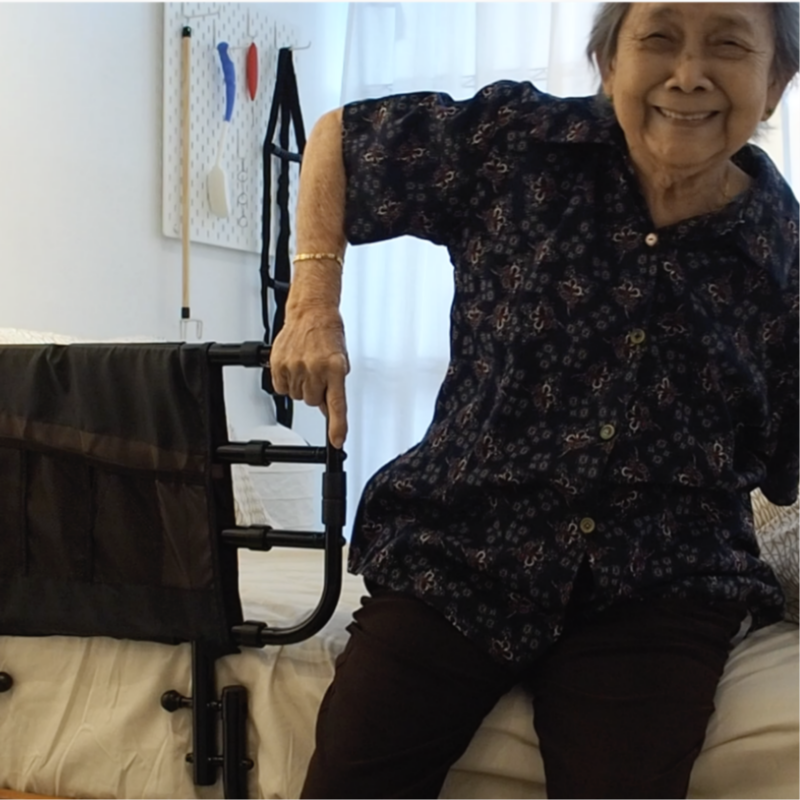 Yes, the EZ Adjust Bedrail comes with safety straps that you can loop around your bed frame for additional security. #6: Are the safety straps long enough for my bed? Yes, the safety straps can accommodate up to king-sized beds. #7: Will it be able to withstand my weight? Yes, the EZ Adjust can withstand up to 181 kg. #8: What if my bed frame is too high/low and the EZ Adjust cannot be folded down? The collapsible feature of the EZ Adjust is mainly for transfers. In the case that the EZ Adjust cannot be folded down due to the structure of the bed frame, you can consider installing the EZ Adjust nearer to the head of the bed to enable easy transfers. #9: What is the organizer pouch used for? On top of being a storage compartment, the organizer pouch is a safety feature that prevents the entrapment of the user’s limbs in the rail. #10: Can you feel the EZ Adjust under your mattress? For the EZ Adjust, we recommend that your mattress should be at least 6” thick. In that case, you will not be able to feel the bed rail under your mattress.